Brazil Nuts are one of the healthiest nuts available due to their high levels of natural Selenium content. They include Thiamin along with vitamins E, C, Folate, Iron, Magnesium, Phosphorus, Potassium and Zinc. 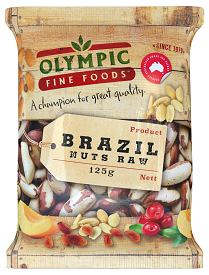 Love our Brazil Nuts Raw product?